This Halloween Morrison has brought out this rather cute box of seasonal treats. I dare say they are not supposed to be quite so cute, but they just kept making me smile. 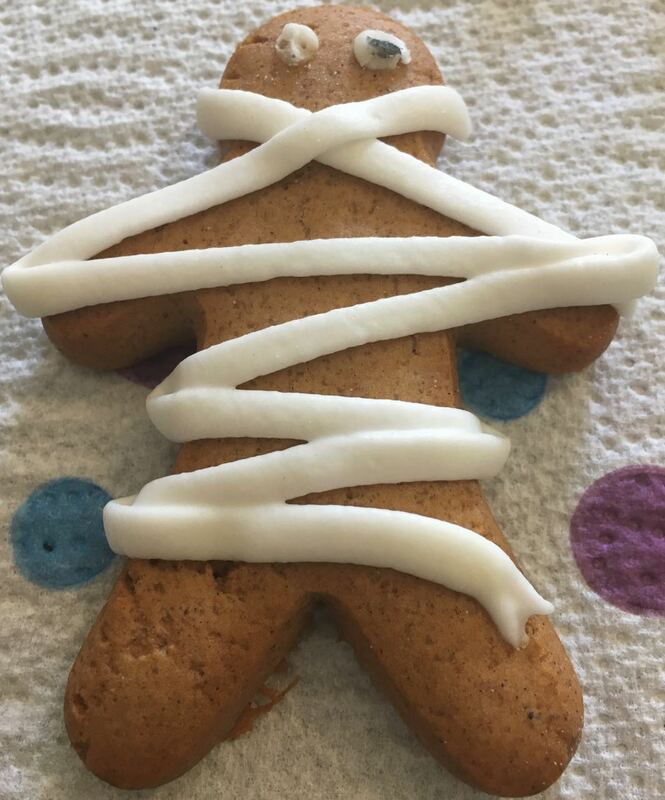 We have Gingerbread Mummies in a card board coffin. 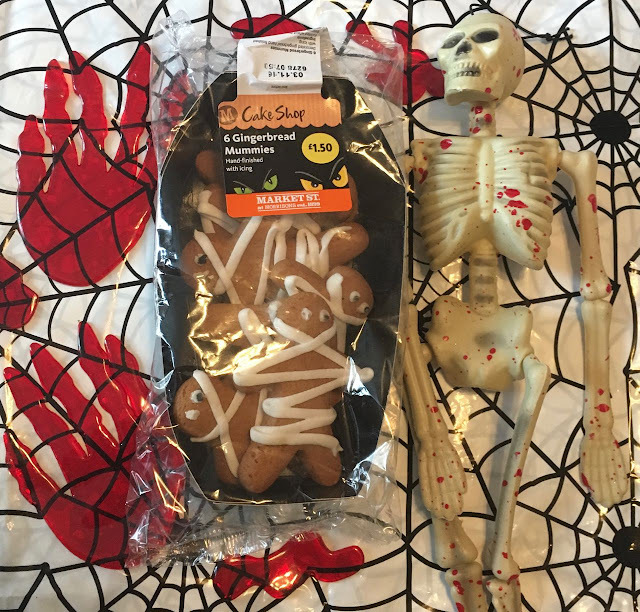 The gingerbread men aren't too big and there are six in the box (coffin). They are very smartly decorated, with eyes peeping out of thick icing bandages. 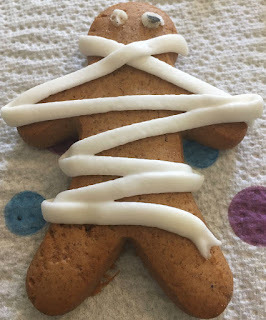 Clearly the only thing to do was to bite off the head of one of the mummies… I soon realised that there was more to just ginger in these Gingerbread Mummies. They had a surprisingly complex flavour and fabulous hints of cinnamon and spices came through. The balances of spices was spot on. Dare I say they taste a little Christmassy, which is no bad thing, just delicious and sweet and spicy. The texture was good too, they managed to combine a soft gingerbread, with juts enough crunch. The Mummies are quite thick, so this worked better than a hard biscuit all the way through. I thought these biscuits were perfectly themed, and do make a fab Halloween snack. They would be perfect for sharing while watching a Halloween movie, or just to make friends smile over coffee, I think I might take some into work to share. They are however far too good to give out to random Trick or Treaters! Sorry guys, these are too tasty to give away!